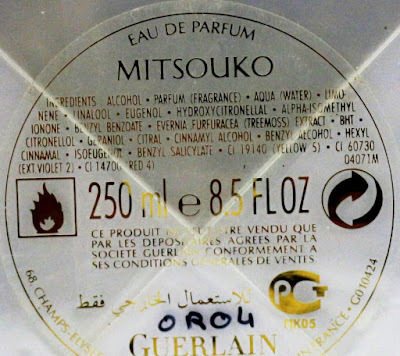 A Journey into the Realm of Lost Perfumes. 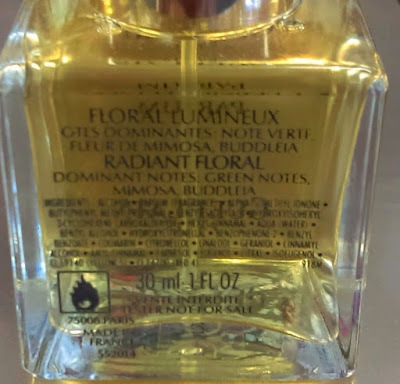 (UPDATE: this is the Part 1. 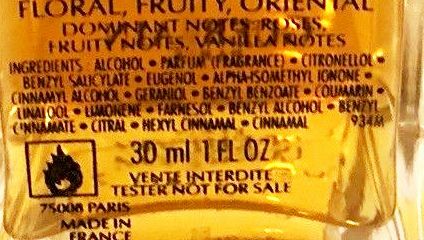 On October, 2017, I received this letter about "reformulations", via a common friend. It is incredibly interesting and deserves the publication. 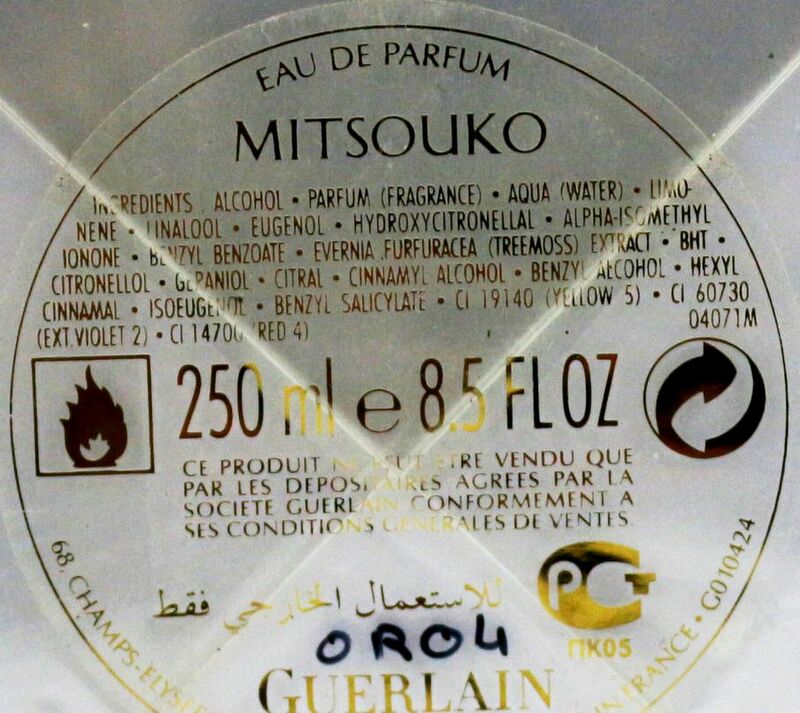 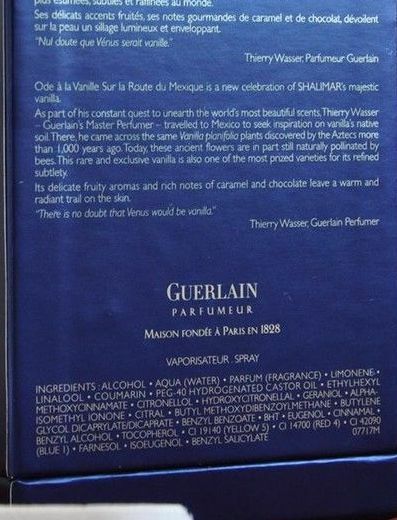 It could be of some interest for all Guerlain enthusiasts. Anyway, it's really intriguing. 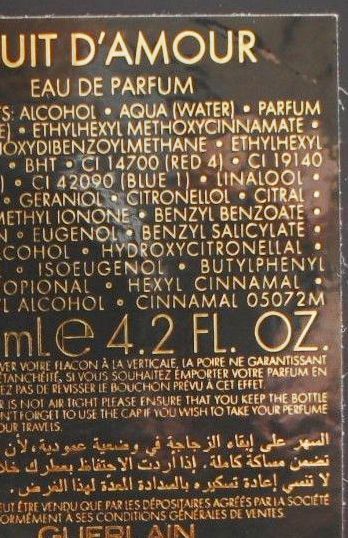 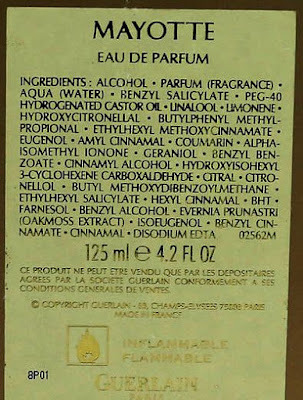 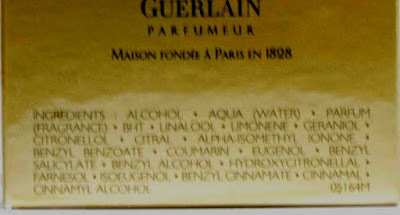 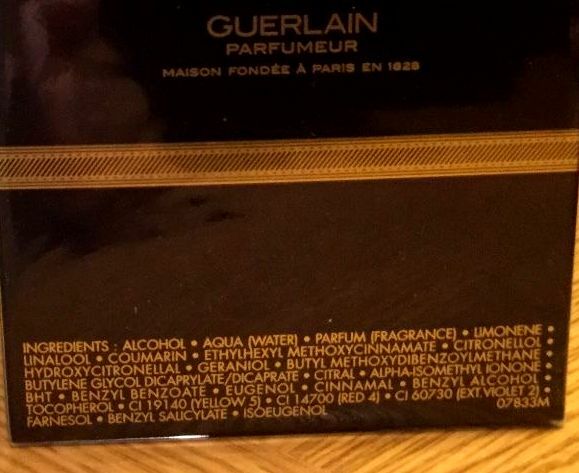 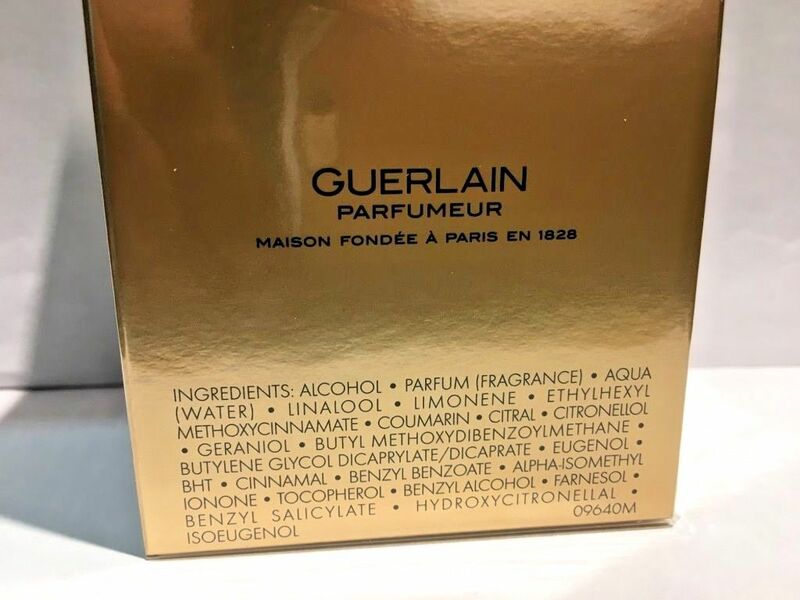 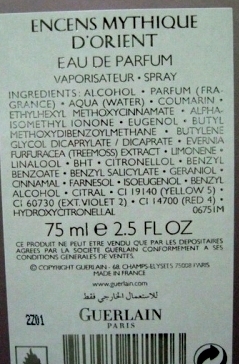 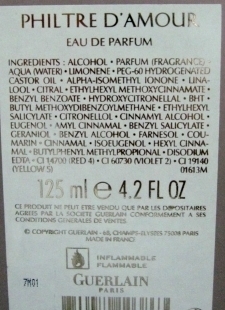 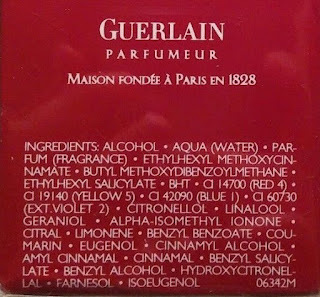 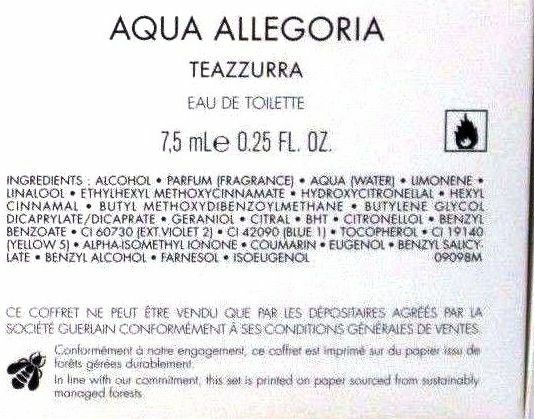 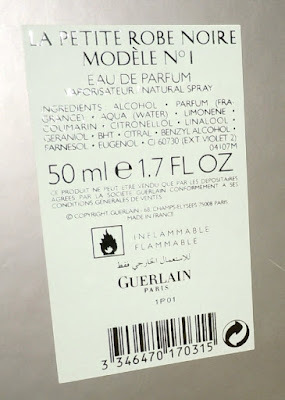 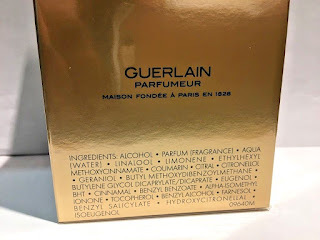 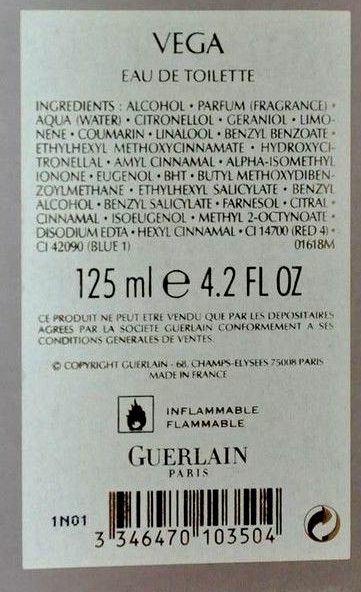 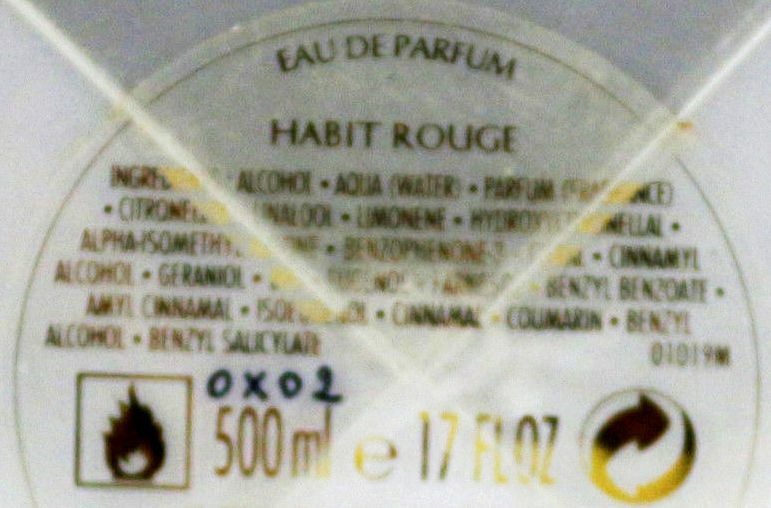 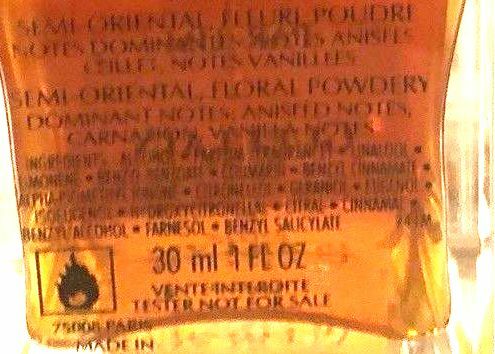 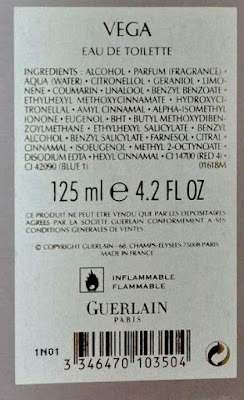 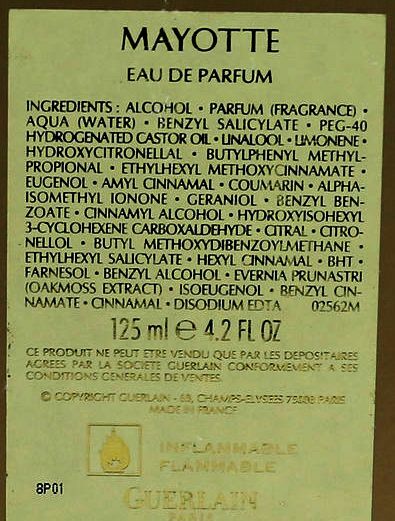 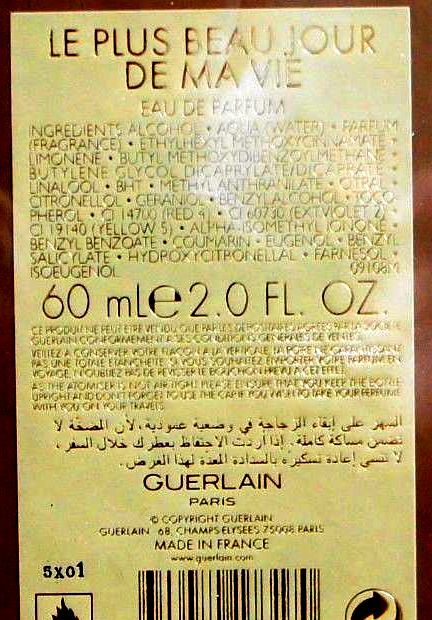 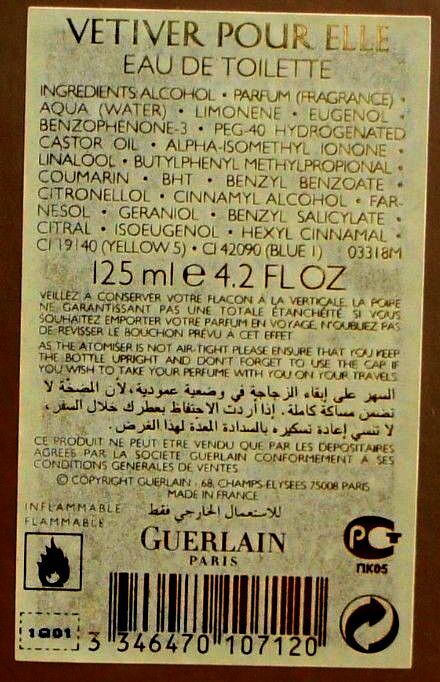 I read the articles written by your group, about the reformulations occurred in many perfumes: since I worked at Guerlain for a few years, I could give my contribution and suggest you a little trick. 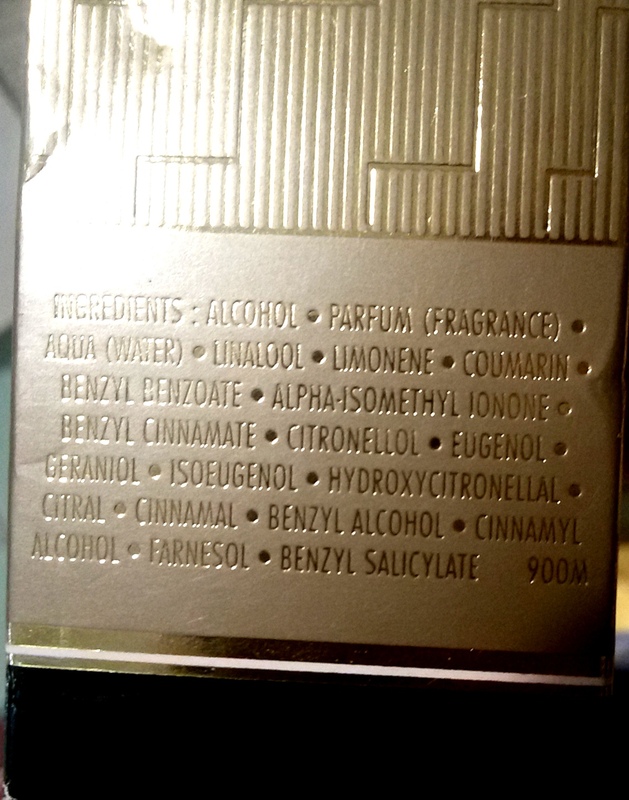 You don't need to collect and examine samples, batch-by-batch, and smell many stripes to determine if a reformualation occurred. It's quite time-consuming and in most cases, not really useful. 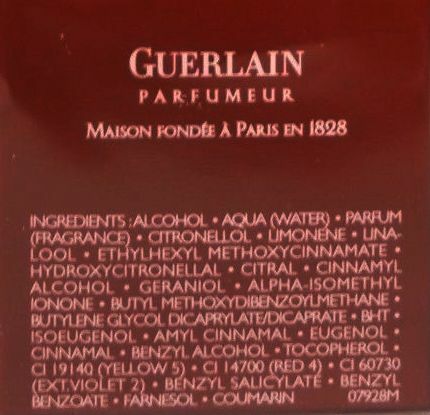 There is a faster and more effective way to determine if a reformulation occurred. 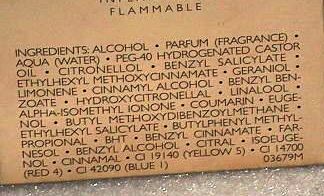 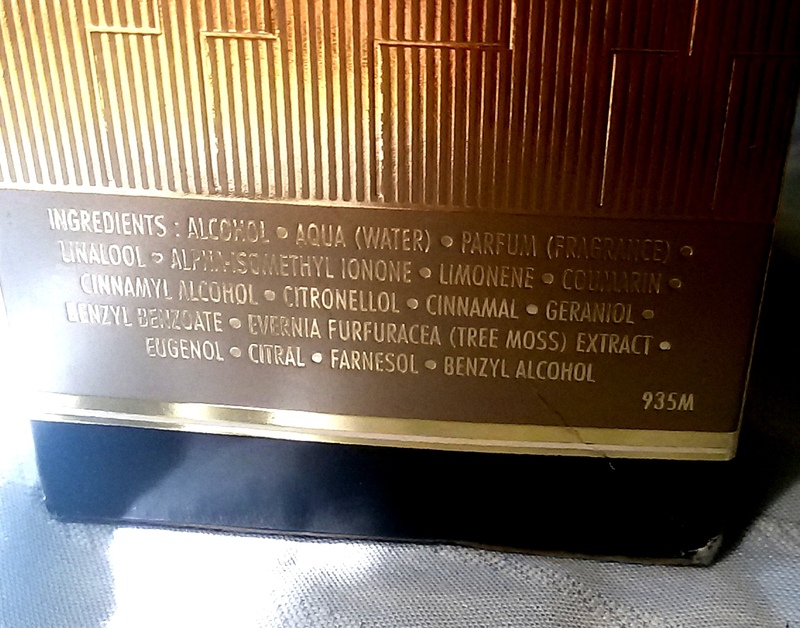 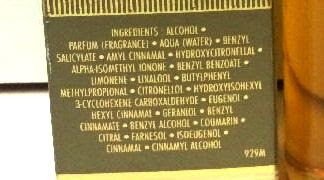 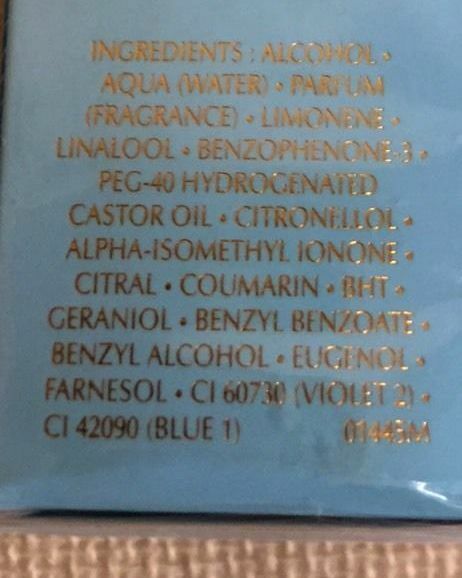 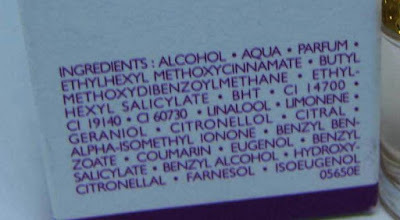 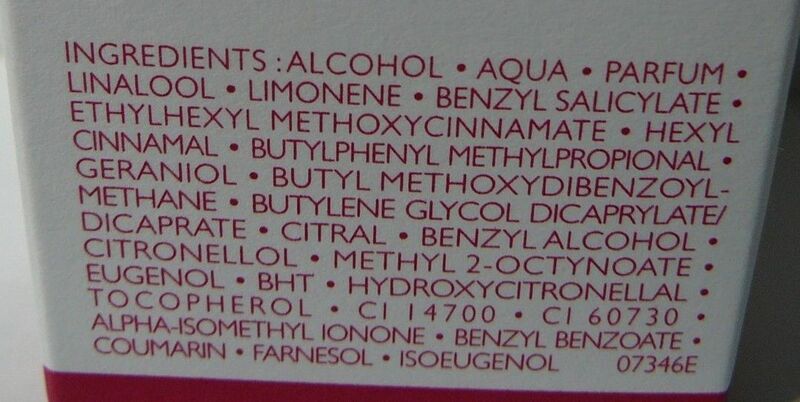 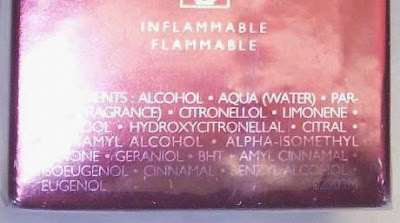 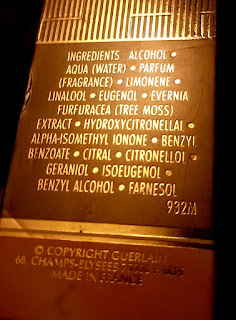 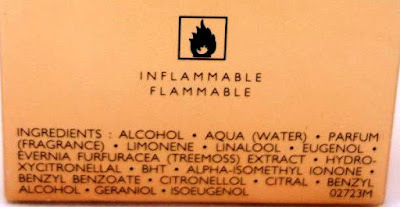 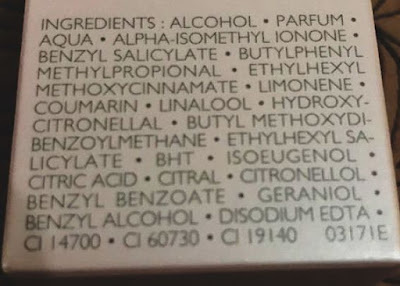 As you should know, all cosmetics since year 2003-2004 have to indicate the "allergens list" on the box. 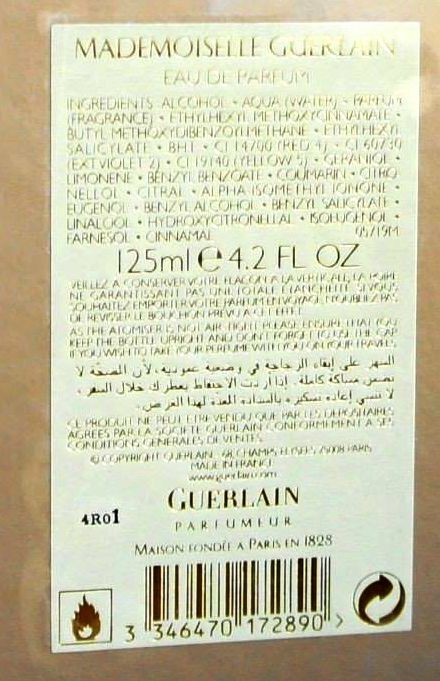 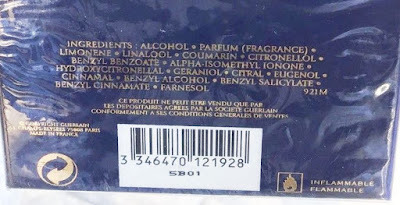 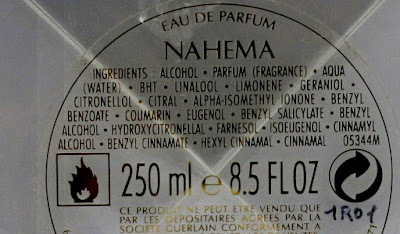 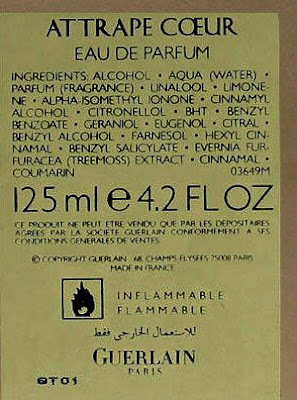 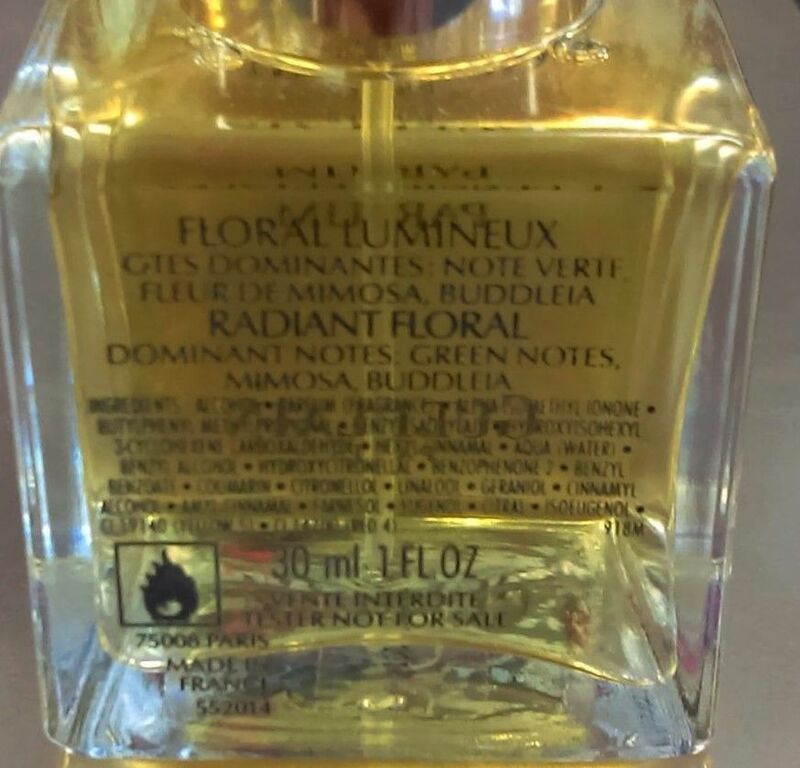 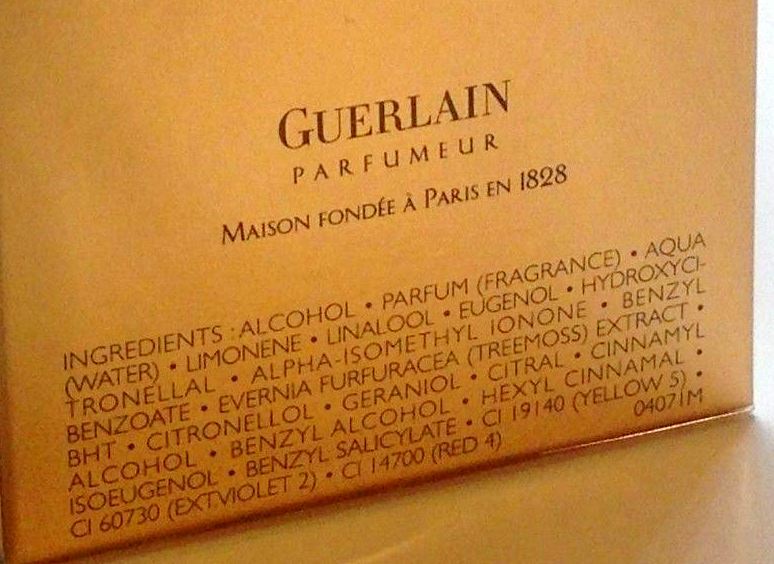 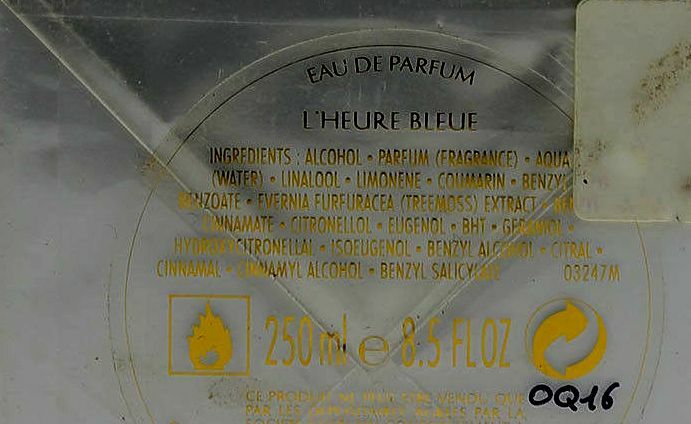 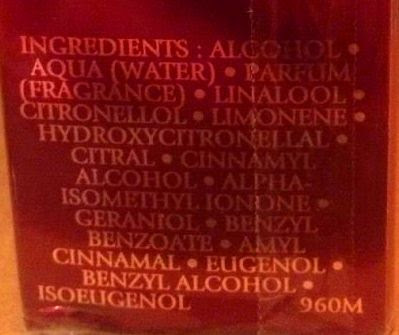 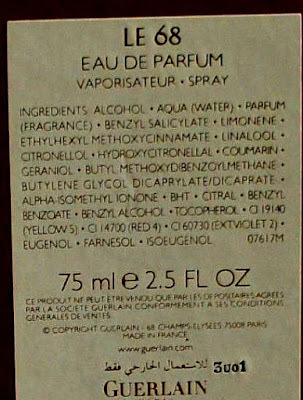 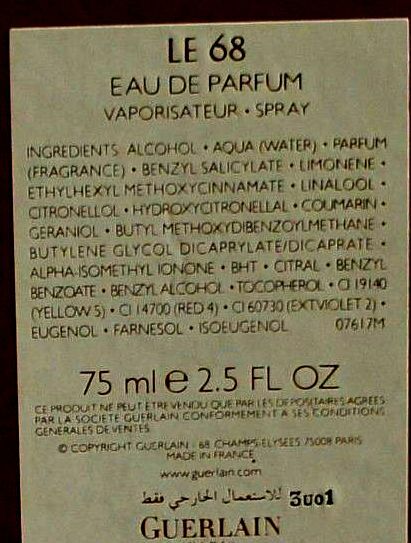 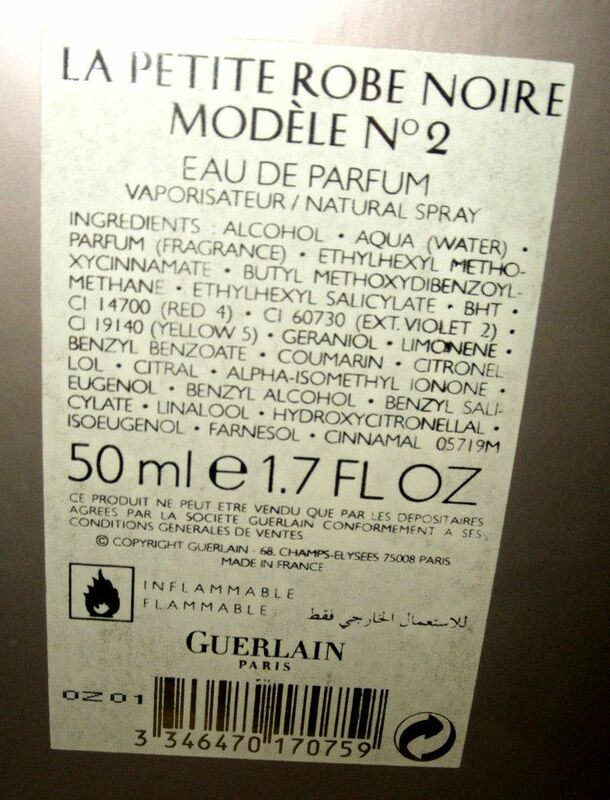 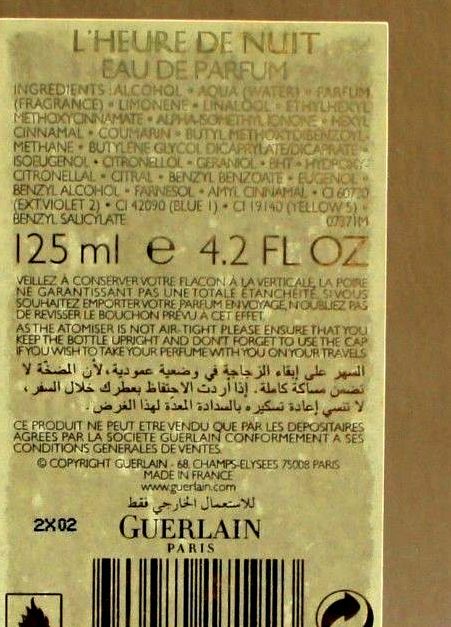 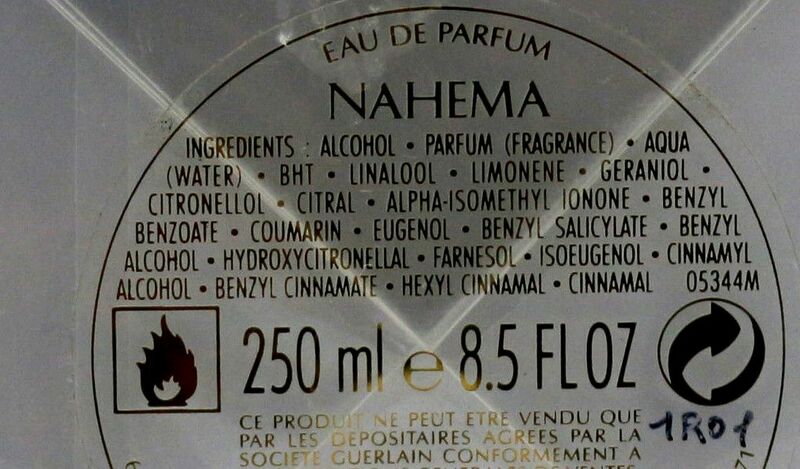 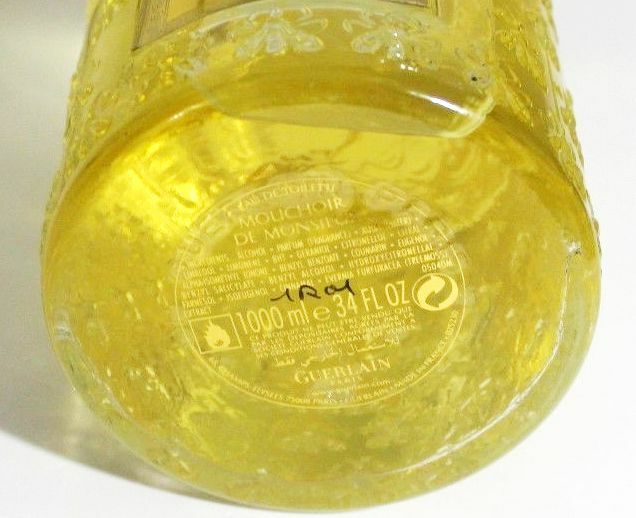 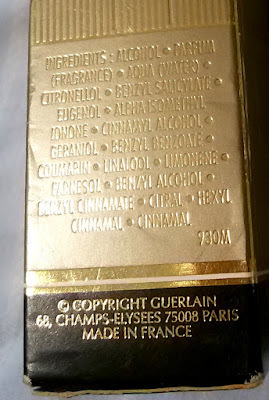 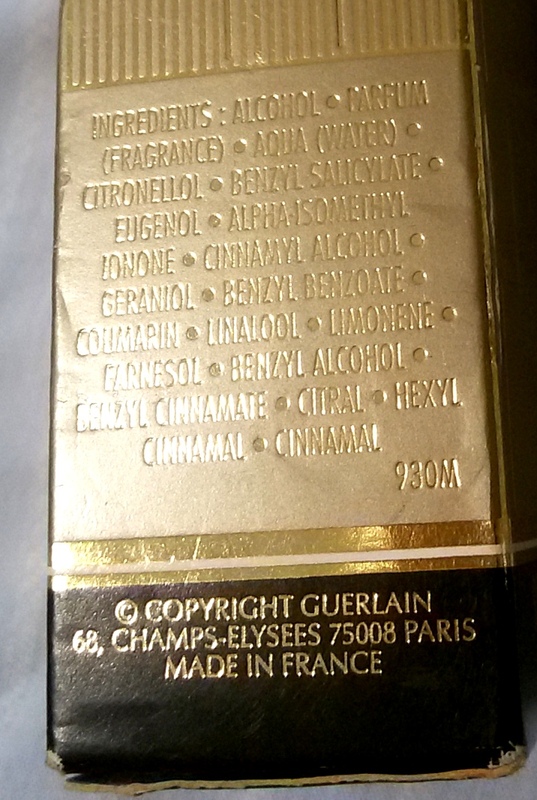 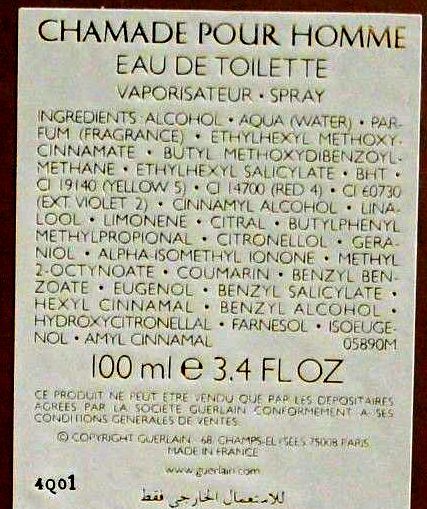 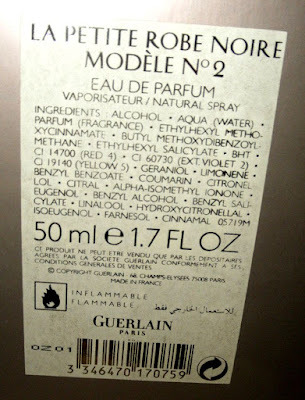 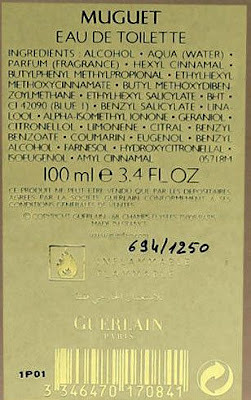 Since then, all LVMH perfumes (Guerlain, Dior, etc...) indicate the allergens, in conjunction with a particular progressive number evidencing the formula of each product. 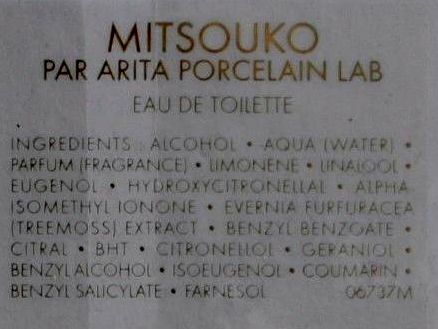 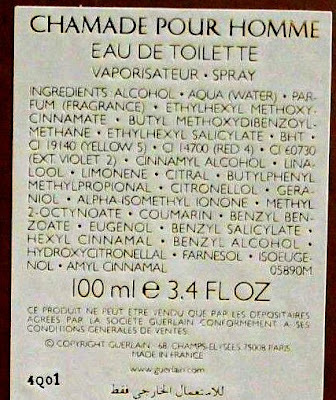 So, you will read different numbers for aftershaves, eau de toilette, eau de parfum, parfum, etc. 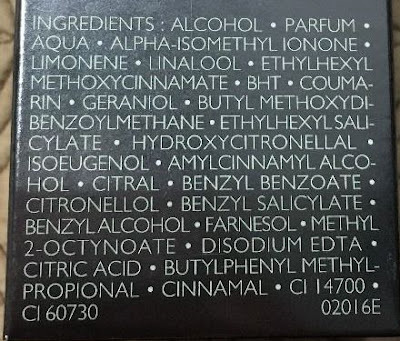 Each number = a "recipe". 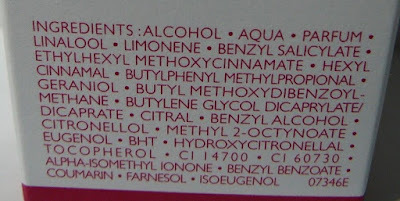 So,when a reformulation occurs, the "recipe" changes, and you will read a different number. 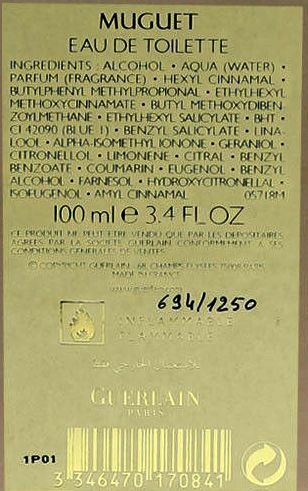 Collecting several boxes through the years, you will read different numbers ...and consequently you can spot on the reformulations. 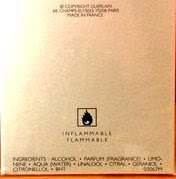 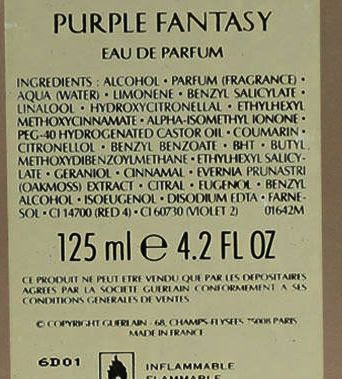 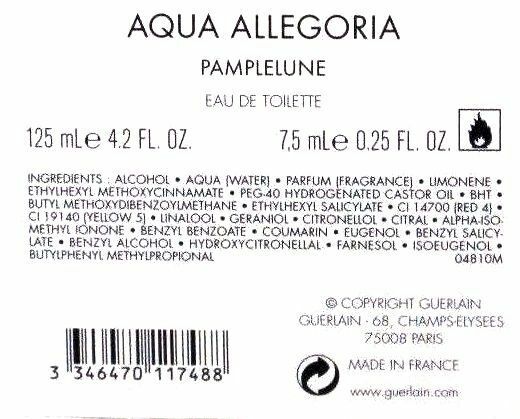 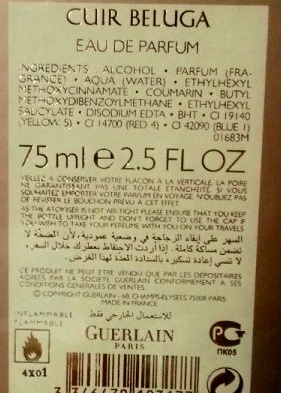 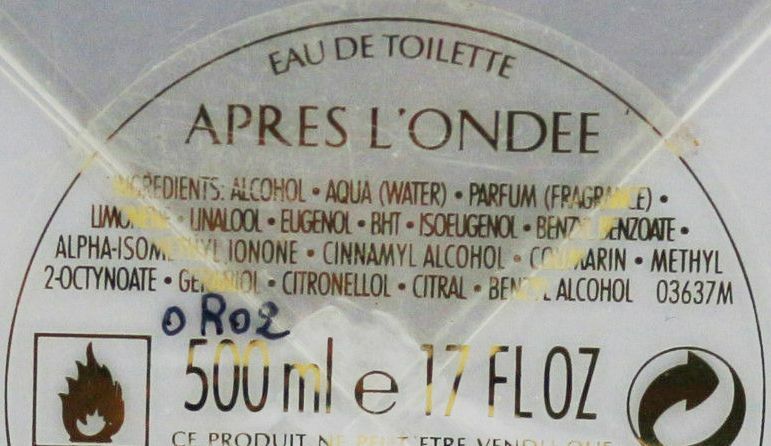 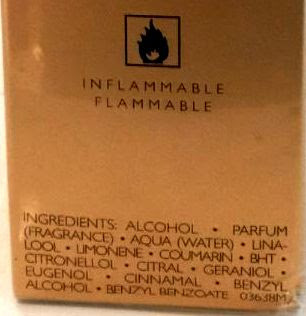 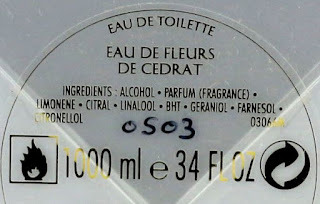 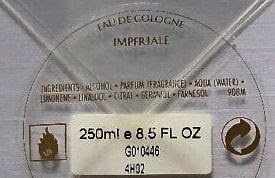 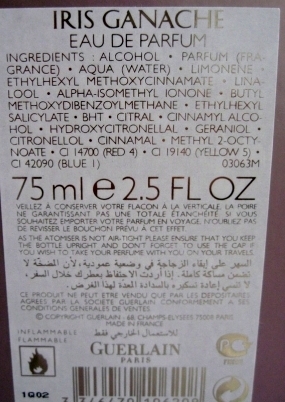 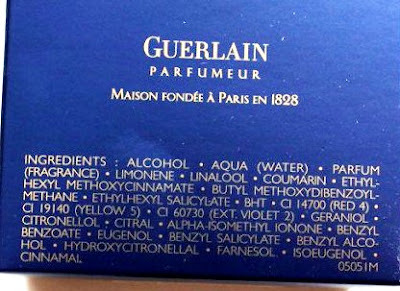 There is no reason to smell several samples to guess if a change happened or not: simply look at the number on the box. 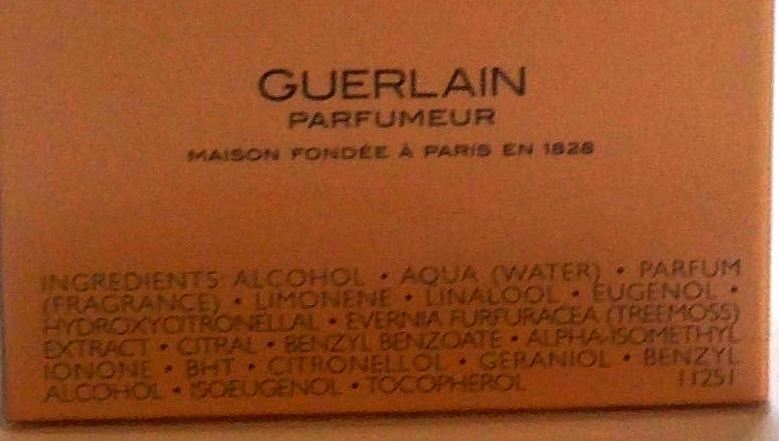 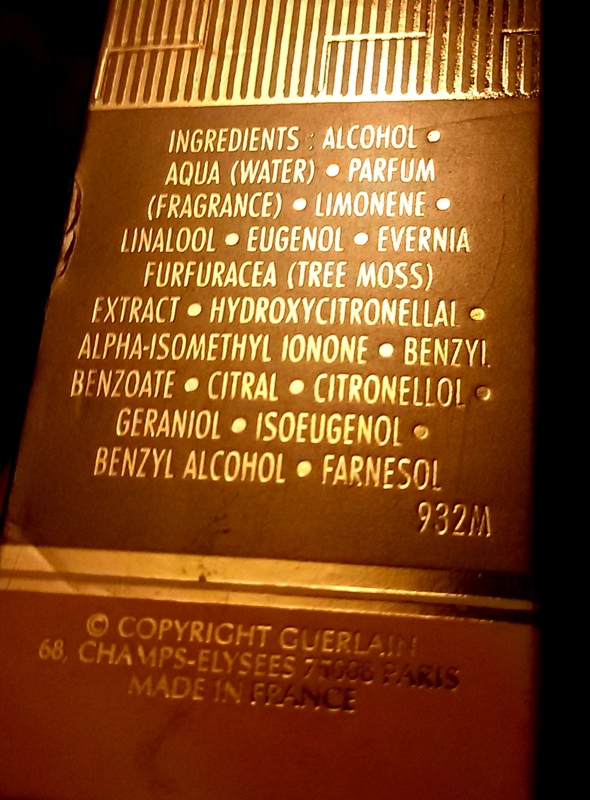 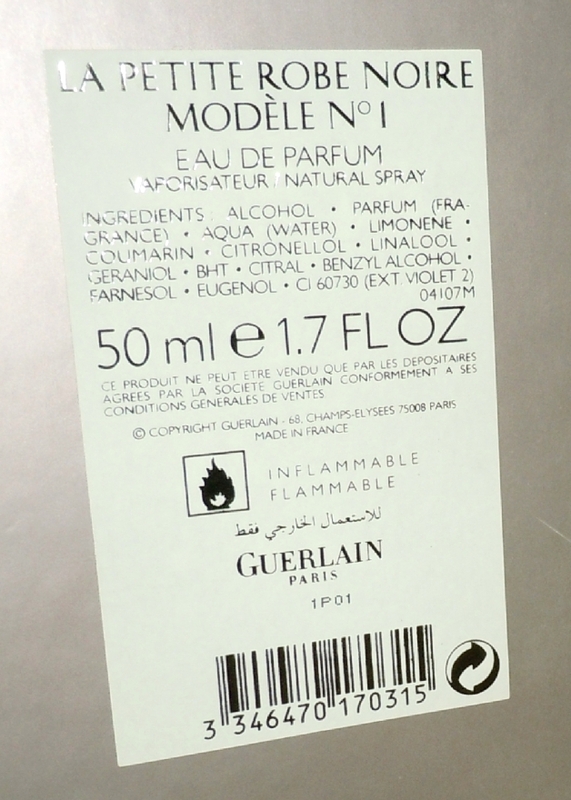 At Guerlain, the biggest part of reformulations happened since 2007. 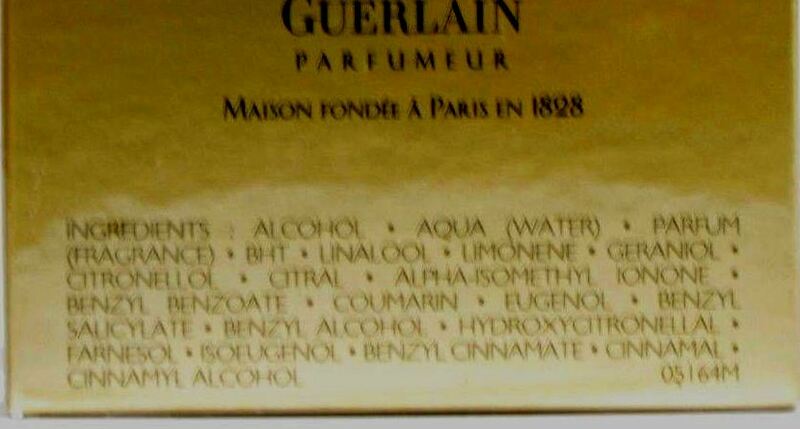 Please note this doesn't mean the new formulations are worse or better than the older. 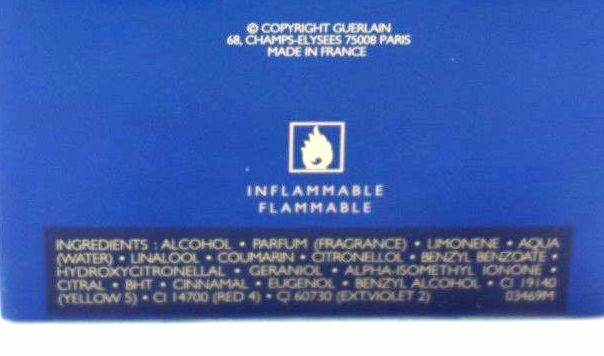 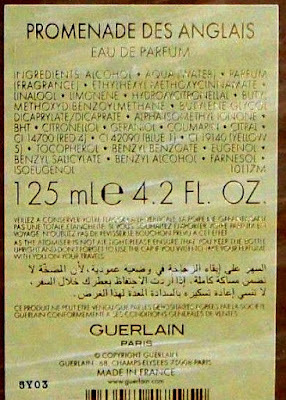 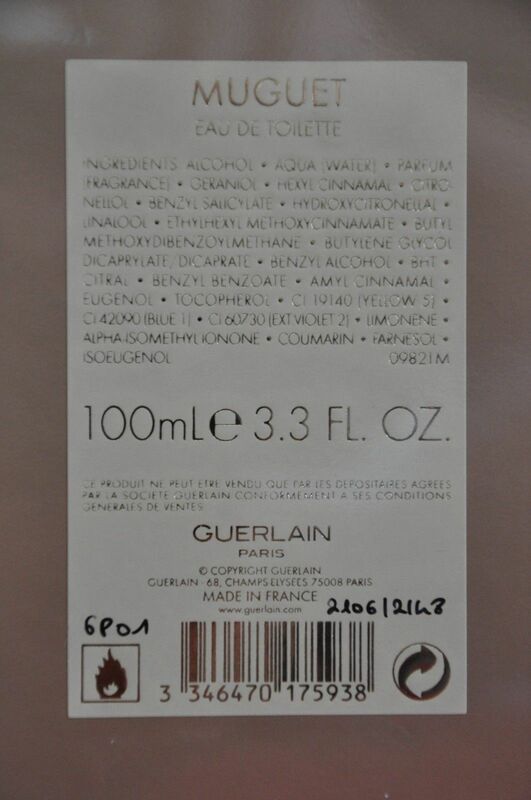 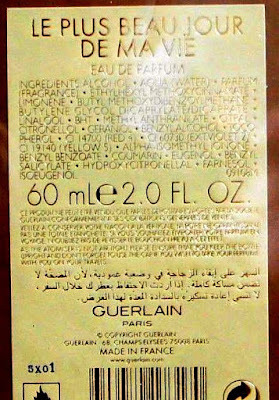 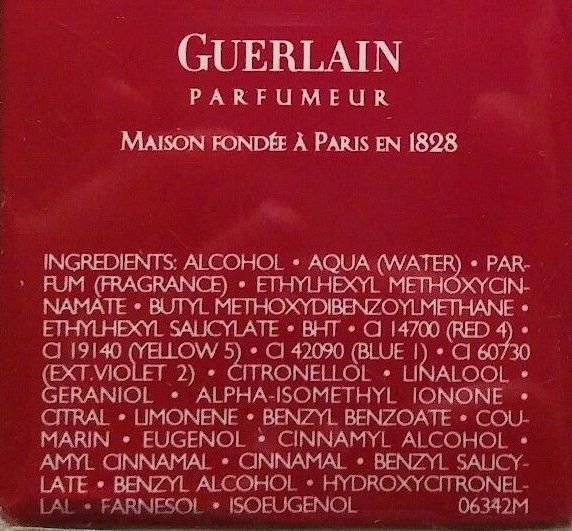 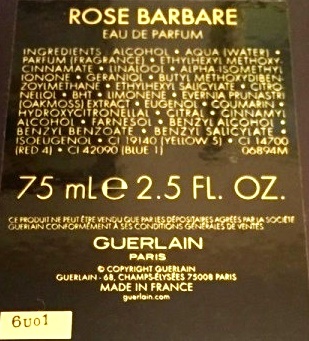 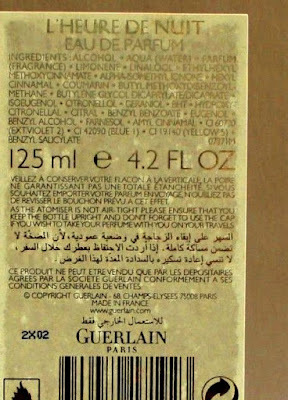 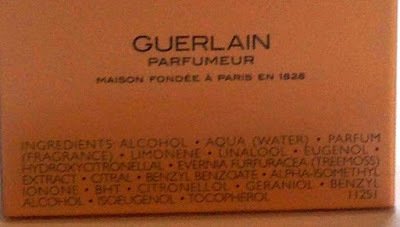 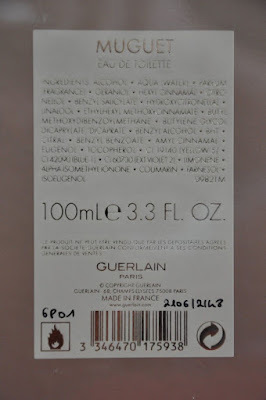 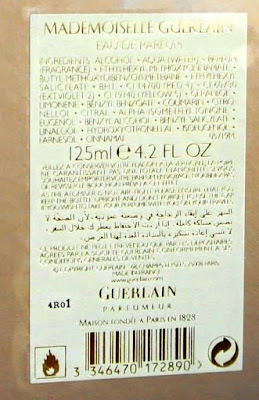 We at Guerlain were very strict on quality, and we put every attention in reformulations, I can guarantee it to you. 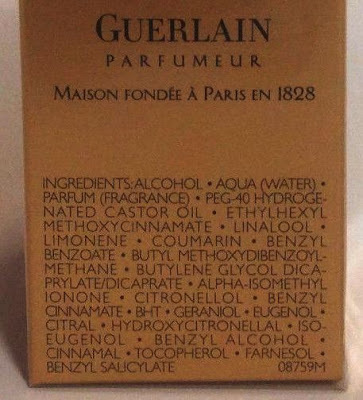 You couldn't even notice any difference. 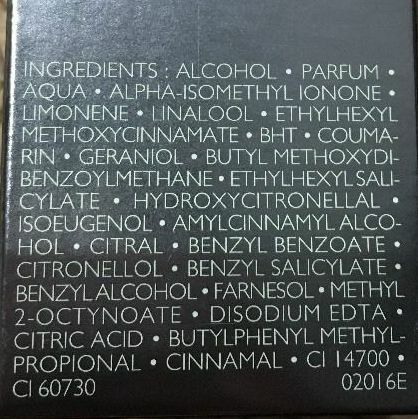 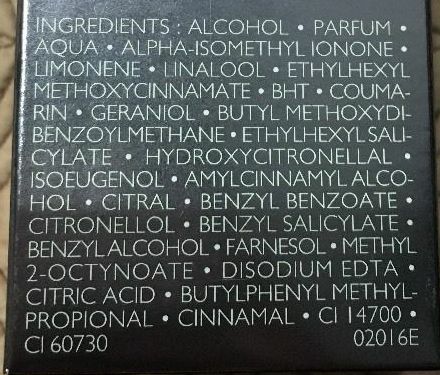 Simply, check out the Formula on the corner of the box, and you will notice all reformulations. 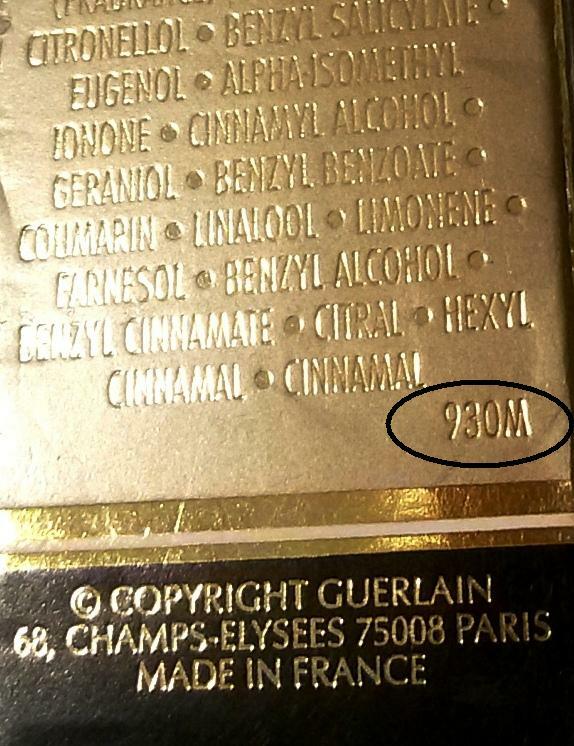 Since the numbers are in progressive order, with some experience you will be able to obtain all the infos you want, simply reading the batch code (year of production) and the formula. 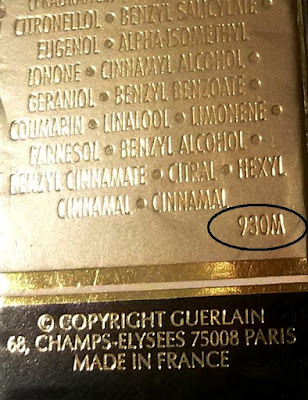 and guessing the date/type of reformulation of your own bottle"
between 8000 and 11000 : years 2015 - 2017. 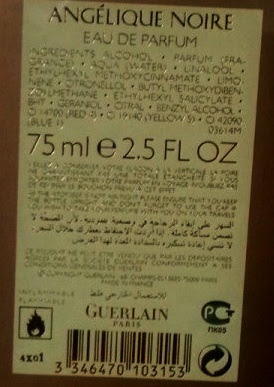 Example of the "Formulas": Shalimar, bottles from year 2005. 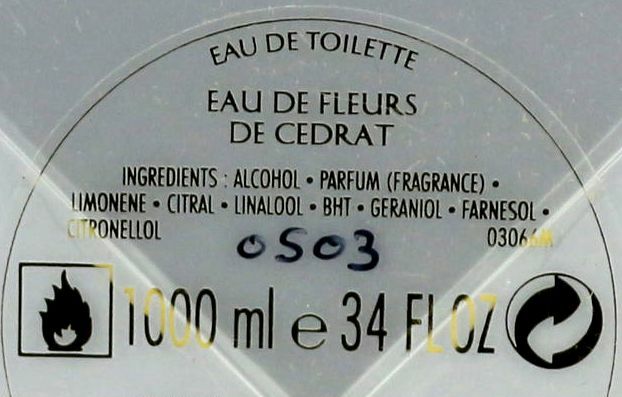 Don't consider letters after numbers. 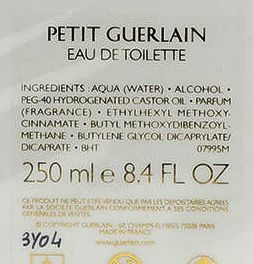 launched in 2008 (EdT): ??? then reformulated in 2017 : ??? 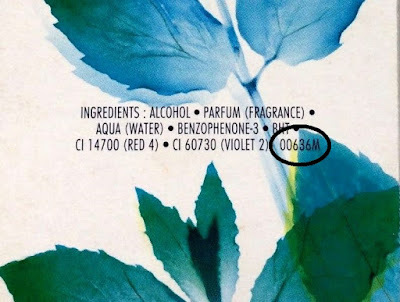 then (broad market) in 2012: 6915M (EdT), 6666M (EdP). 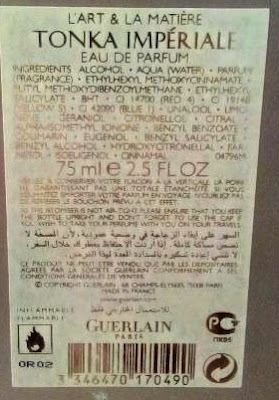 Shalimar EdT (this bottle from year 2011), formula 3933M. 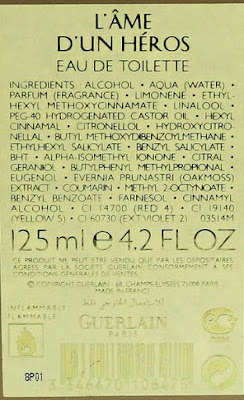 one of the early examples of "formulas"
How to recognize CHRISTIAN DIOR perfumes. 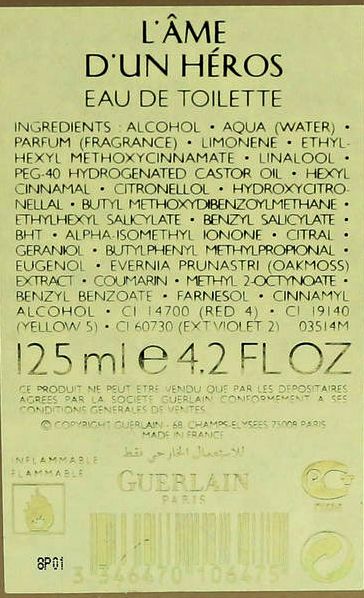 How to recognize CHANEL perfumes. 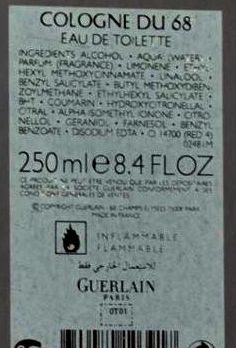 DIOR HOMME INTENSE 2007-2013 : 9 BATCHES BlindTest. 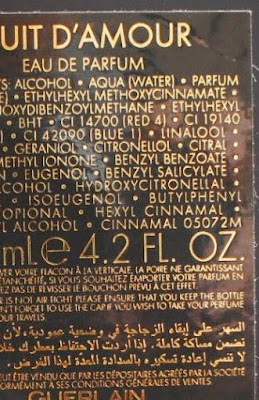 How to smell a perfume? 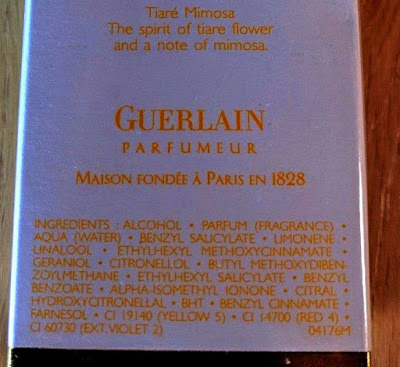 Luca Turin's "Perfumes I Love". 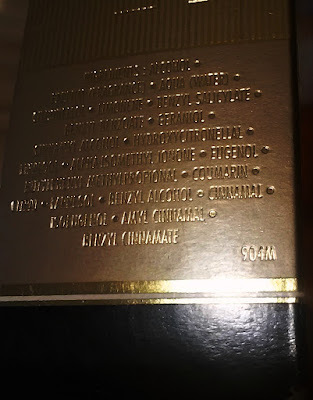 Le foto ed i filmati presenti su questo blog sono stati in larga parte presi da Internet e quindi valutati di pubblico dominio. 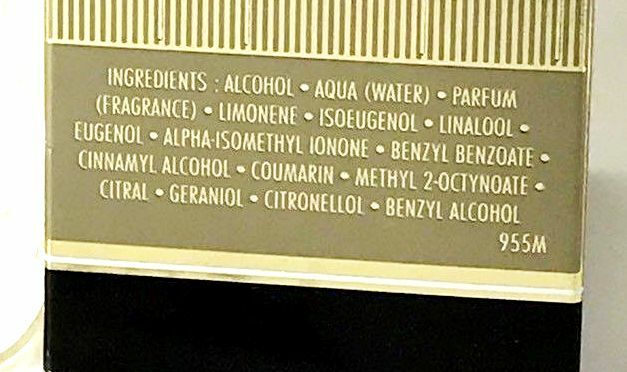 Se i soggetti o gli autori avessero qualcosa in contrario alla pubblicazione, non avranno che da segnalarcelo, e provvederemo prontamente alla rimozione delle immagini utilizzate. TUTTI I PROFUMI MOSTRATI NON SONO IN VENDITA E SONO ILLUSTRATI SOLO A SCOPO INFORMATIVO.